A meeting between former communications minister Denis Naughten and bidder David McCourt may have breached procurement rules, but only "in the strictest sense". That's according to the author of the report into the National Broadband Plan tender, who stood over his view that the procurement process had not been affected. Peter Smyth told the Dáil Communications Committee that while he did not believe the meetings amounted to canvassing on the part of the bidder, they may have technically breached tendering rules. He said he had worked with the facts he had established, and on that basis could not draw conclusions that there was any canvassing. Asked by Fianna Fáil's Timmy Dooley if a meeting where broadband was discussed was an "obvious breach" of rules which forbid communications that could have affected the process, Mr Smyth acknowledged they were a "cause for concern". But he added that while they may have been a breach of the rules in the "strict sense", he did not consider them to be canvassing. "I've tried to work with the facts as I've established them. On that basis, I don't have any facts to lead me to a conclusion that there was canvassing. "I have said there was a series of meetings which may have led to cause for concern," he said. This led to an "apparent bias", but this was negated once Mr Naughten resigned from office, he added. Mr Smyth was also asked about how he gathered information about what had happened at meetings between both men. He said he had not asked for written statements from either Mr McCourt or Mr Naughten, nor had he taken statements "under oath". He was not a lawyer, he added. He said where records of meetings were taken, he consulted them but "didn't feel it was appropriate" to ask those present if other matters were discussed. Mr Smyth contacted the former minister eight times by phone, and over two emails and 14 text messages. Mr McCourt, who provided a written statement to the Department of Communications which was passed on to him, was also telephoned eight times, and was sent 15 text messages and two emails. Mr Smyth also said that part of the tendering process involved "ongoing dialogue" between the department and bidders. There was "no basis" to believe that the minister held information which the bidders did not have. He again said that the minister did not, or did not intend to, interfere with the bidding process. "I do believe the process is untainted," he added. 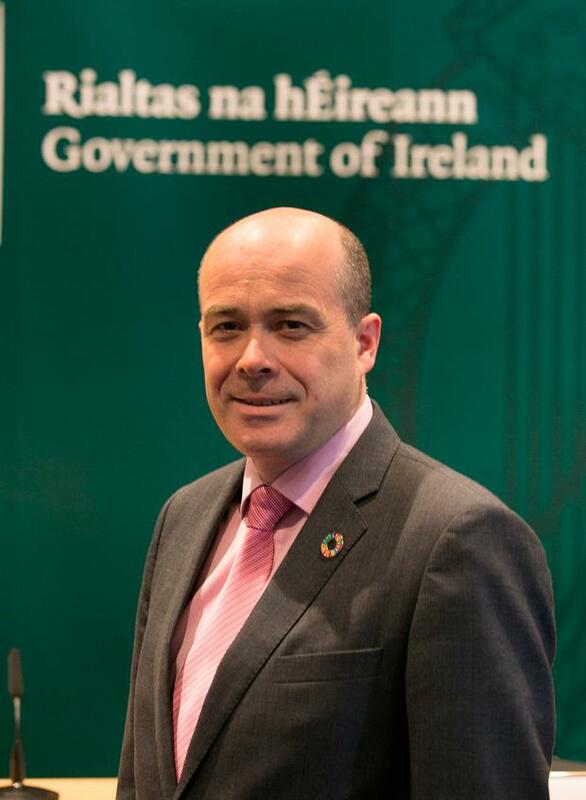 Meanwhile, the secretary general of the Department of Communications, Mark Griffin, told another Dáil committee rural dwellers may have better quality broadband when the plan is rolled out than people living in urban areas. He also said the roll out of 5G in lieu of fibre had been rejected as it was a complimentary service in addition to fibre to the home, but not an alternative.